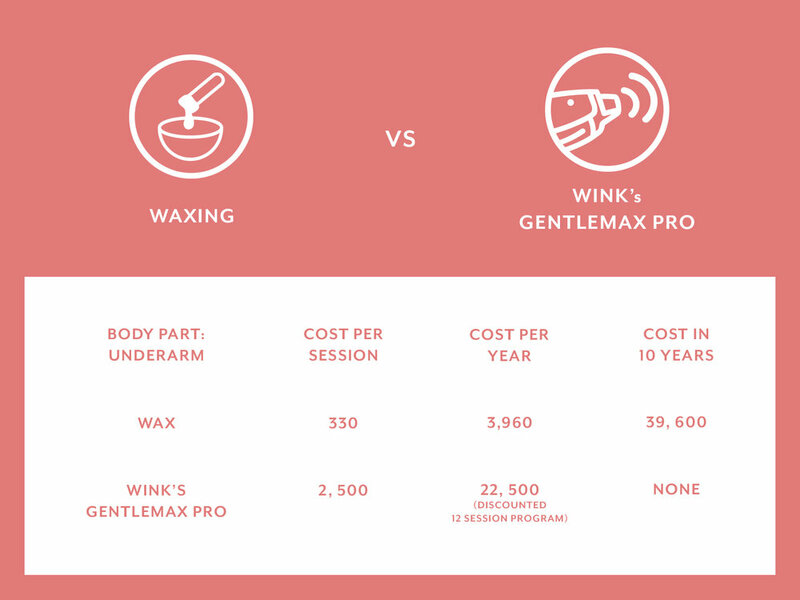 Waxing vs. Laser Hair Removal : Which is really cheaper? You think waxing is the cheaper option? You might want to re-think again. While waxing might be cheaper (base on price per treatment), it only offers a temporary solution to remove unwanted hair. We're here to show you that there's a permanent solution to banish unwanted hair and--this is the best part--something that gives you savings in the long run. Available only at Wink SM Mall of Asia, Bonifacio High Street, Greenhills, Eastwood, Vertis North, Robinsons Place Manila and Alabang Town Center.